The Neanderthals Rediscovered: How Modern Science Is Rewriting Their Story, by Drs. Dimitra Papagianni and Michael A. Morse, provides a series of balanced and original perspectives on a close hominid relative: the enigmatic and yet pigeonholed Neanderthal. Long held prejudices are shattered by this publication, which weaves together the latest scientific research through a compelling narrative of prehistorical events. In only seven chapters or 208 pages, Papagianni and Morse trace the evolution of Neanderthals from their initial expansion throughout Europe and Asia to their ability to weather harsh climatic conditions. Additional chapters present Neanderthal encounters with Homo Sapiens, the enduring mystery of the decline and disappearance of Neanderthals, and an interesting analysis of the derogatory attitudes that have prevailed in the popular imagination. In due course, the authors revaluate and contextualize the place of the Neanderthal in prehistory. Readers might be surprised to learn that the parallels between Neaderthals and their Homo Sapien cousins were quite strong: Neanderthals buried their dead, painted, fished, and even had some linguistic aptitude. Special mention should be made of the 60 illustrations -- 25 of which are in color -- which abound in The Neanderthals Rediscovered. Maps, drawings, diagrams, and photographs frame the information at hand without overwhelming or distracting the reader. Additionally, one must be sure to take a look at the excellent bibliography, which includes titles and essays by many well-known paleoanthropologists in English and French. A comprehensive index is also shared as are a useful timeline, an author’s preface, and a list of illustration sources. The Ancient History Encyclopedia recommends this publication to historians of prehistoric Europe, anthropologists, geneticists, and those interested in evolutionary biology. The language employed in the book is comprehensible and thus easy to read regardless of one’s academic specialty; in truth, this title a real delight to those whose backgrounds are not in prehistory or paleoanthropology, but are yearning to learn more. Highly recommended! This volume has been published in English through Thames & Hudson in the United States and is currently available for $29.95 in hardcover. Wiener, James B. "The Neanderthals Rediscovered: How Modern Science is Rewriting Their Story." Ancient History Encyclopedia. Last modified January 15, 2014. https://www.ancient.eu/review/41/. Wiener, James B. 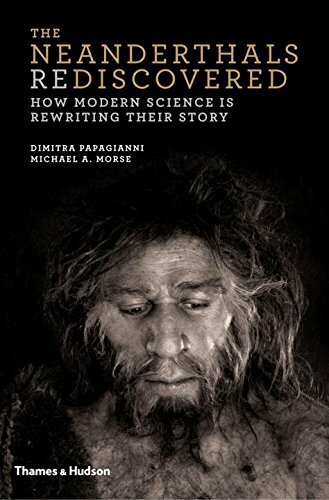 "The Neanderthals Rediscovered: How Modern Science is Rewriting Their Story." Ancient History Encyclopedia. Ancient History Encyclopedia, 15 Jan 2014. Web. 20 Apr 2019.